This post was generated to establish a category. When an actual post by a contributor is published, it will be deleted. The Dirty German 50k is held in Pennypack Park which is located in the heart of Philadelphia. 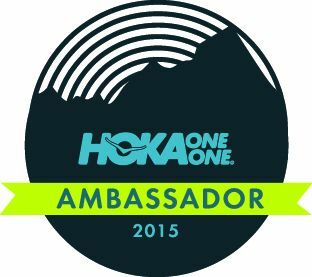 The race is great for anyone new to Ultrarunning. It is relatively flat and not very technical which makes it optimal for anyone thinking about giving Ultrarunning a try. The race itself consists of two 15.5 mile loops. I highly recommend this race for anyone wanting to give Ultrarunning a try. This was my first experience running a big Philly race, and it was exceptionally good. The communication from the moment I registered through the finishing results and photos was professional and concise. The expo was quick and easy to get through for packet pickup, and race day coral setup and mc/audio services were great. The volunteers were really helpful and encouraging despite the cold temps and winds. The finishers area was a little sparse, and it would have been great to have a better view of the finish line so we could cheer for fellow runners coming in, but that’s just nit-picking. I had an excellent experience overall, and I am very glad to have given Philadelphia, (not always my favorite city) and the Love Run a chance. 3/31/2018 – Ran this Easter themed race with my dog Boone. He was extremely excited for it, and did a great job maintaining pace and not causing any problems. There were many dogs there, and the race director encourages a dog-friendly environment. The Lititz Fire Company offers a delicious omelette made to order before your eyes at the finish, which was the highlight for me AND Boone. He got his own! The course is fairly flat, with smooth, easy inclines in the first half as well as downhills for most of the second half. The final 1/4 mile is a little tricky. There are two tight turns before the finish in front of the fire hall, and walkers can become an issue. They start at the same time, but only go out for two miles, so some are occupying valuable racing lanes on the final sprint. I wish they had a divided finish to keep them to one side or the other. despite that minor complaint, I loved the run, and it was organized well. The longsleeve shirt was nice, and the Sauders eggs for awards were delicious! After a ton of training but low expectations in a stacked field, I finished in 4th place and had a great JFK 50 Mile Debut.